This small skink has a greyish-brown body with pale irregular stripes which appear to have ragged edges, feet are brownish on the lower surface. An ear opening is present, and the eyes are covered by a transparent scale which is immovable. 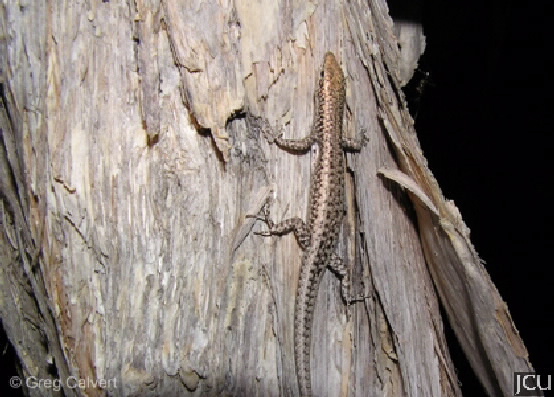 This skink is now considered to only occur in Western Australia and is not in Queensland.